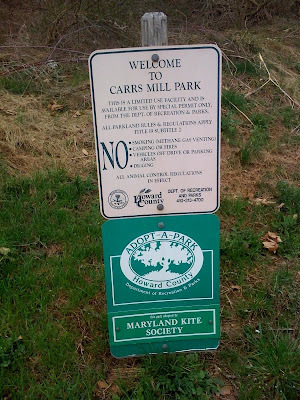 Last Sunday, I visited Carrs Mill Park. 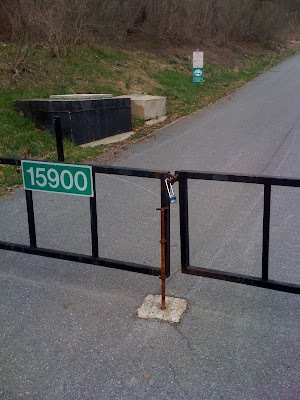 I was curious about it because every time I drove by, the gate was locked. I finally decided to venture in and see what was up. 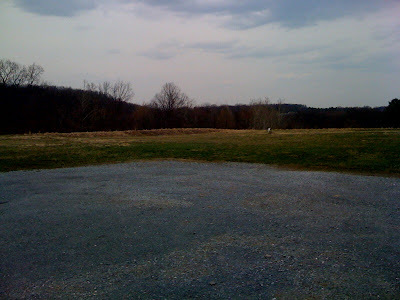 After walking up a short paved driveway through some trees, I reached the main park area. 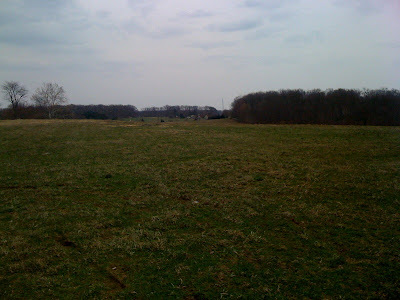 The park consists of an open field. That's it. Great use of tax dollars! 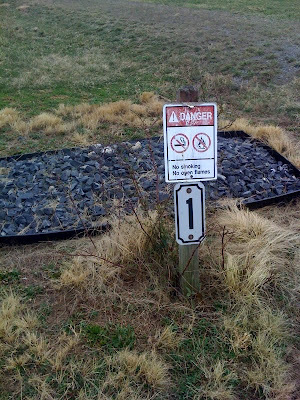 Its a park built on the old Howard County Dump - it looks better now, but probably still somewhat toxic! Interesting... thanks for that tidbit.